New Occasion and Sale-A-Bration catalogs are amazing. I still can not decide which set is my favorite, so I am just playing with many of them. 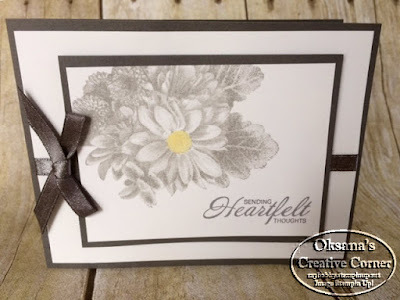 The "Heartfelt Bloom" set cut my attention during Stampin Up! OnStage event back in November, especially how this set was made and new patent pending technology. This set has great flower image and 3 sentiments. The easiest way to start with this set - just pick a color and go for it! The flower image is great in any color. 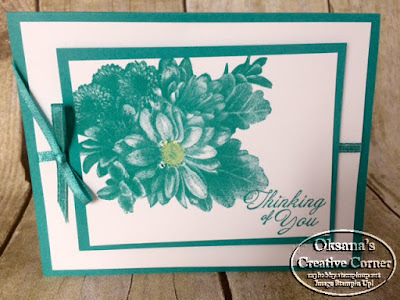 My color inspiration came from a free ribbon pack I got from sale-a-bration. 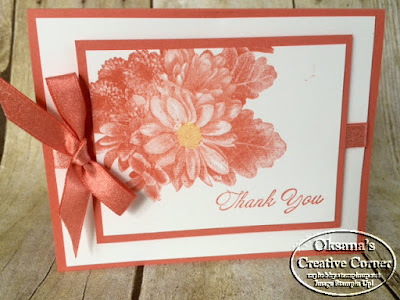 I used daffodil delight blends to color the center of the flower. Super easy cards. And possibilities are endless. What color will you choose? 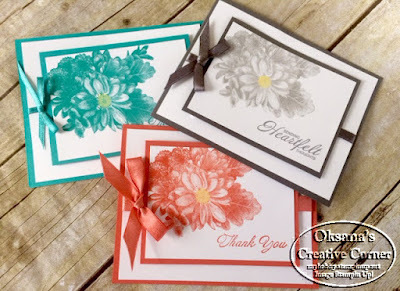 You can get this stamp set for FREE with $50 in my store.